The YEE Foodprint Working group will consist of motivated youth workers from various European countries. The working group will explore the connections between our food systems, our food habits and environmental destruction, exchange best practices for youth organisations and create and distribute new materials. In 2010, YEE launched the “Office Cuisine” project in order to promote good practices for sustainable and healthy food habits. For the following years, it has always been a core YEE project. It was mostly run by YEE volunteers and its core activity was a WordPress blog with international vegetarian and vegan recipes from the YEE network and in-depth articles on health, sustainable food systems and sustainable food practices. In 2019, the YEE Secretariat and Board decided to expand on the project. 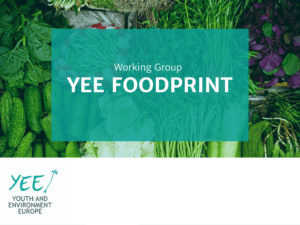 Office Cuisine was renamed to “YEE Foodprint” and we opened a working group open to the YEE network and other youth interested in this topic. Increase understanding of food systems and the links with environmental destruction. Decrease the environmental footprint of individuals and organisations. The working group can decide it’s activities itself as long as they are in line with the aim of the working group and the values of YEE. Possible activities could be to create and promote articles on food, health and environment, sustainable food practices and vegan/vegetarian recipes. Other activities could be to exchange and create guidelines, toolkits, activities and articles on sustainable food practices for youth organisations. The working group has regular calls, home materials to read and projects defined by the working group to work on. Communication happens through Skype, e-mail, a shared drive, and any other desired communication platform. We expect from the working group members that they try to be present at meetings and that they will contribute within their capacities to the functioning of the working group. The frequency and time of the meetings will be decided collectively. We aim to reach out to European youth workers, young leaders and young volunteers which are active within the YEE network, the YEE partners or other youth organisations that share the values of YEE. 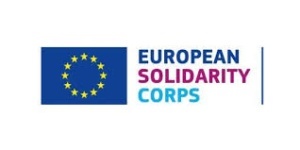 You can apply for the working group by filling in the application form before the 22nd of April 2019, 23:00 CET. If you have any questions, don’t hesitate to write to Eurgain (Eurgain@yeenet.eu).